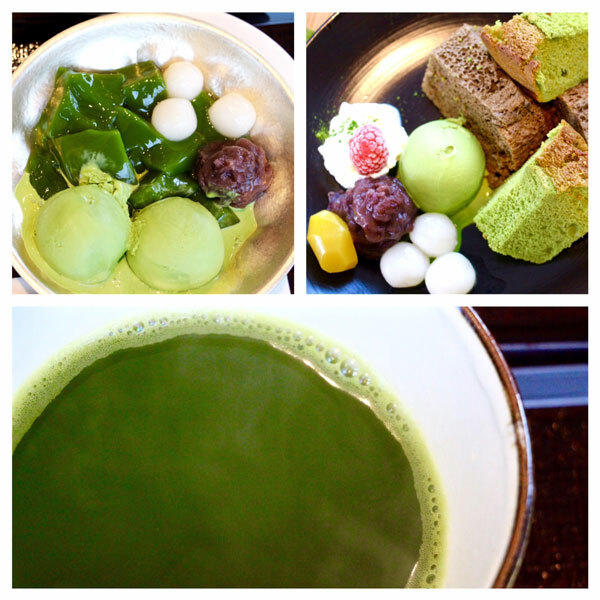 What do you get when you open a prestigious Kyoto matcha teahouse in Hong Kong? 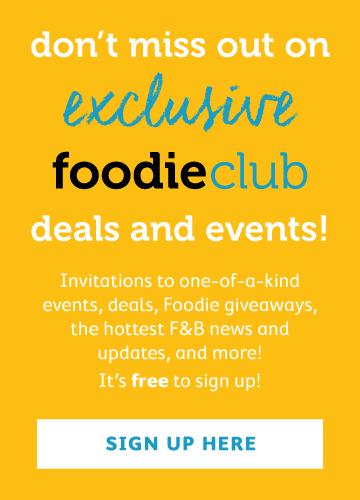 A 2-hour waiting list! We recently visited the newly opened Nakamura Tokichi, at The One shopping mall in TST, to see what all the fuss is about. We arrived during an Amber rain thunderstorm, around 2:30pm on a Wednesday expecting to see no one, only to be greeted by a 50-people line! It's simply amazing the hype around this restaurant. Hailing from Uji city bordering Kyoto, Nakamura Tokichi has cultivated green tea since 1854, and the brand has passed within the same family now at its sixth generation. The bright freshness and astringency of the green tea has elevated Nakamura Tokichi to legendary status in Japan, with the Japanese royal family being some of the brand's admirers. The Hong Kong location is the first ever international flagship for the brand. All the ingredients, including the revered matcha jelly and warabimochi, are flown in fresh daily from Kyoto to maintain the same stringent standards. The brand reminds me of Ippodo, a similar prestigious teahouse that I visited during my recent trip to Kyoto (click here for details). 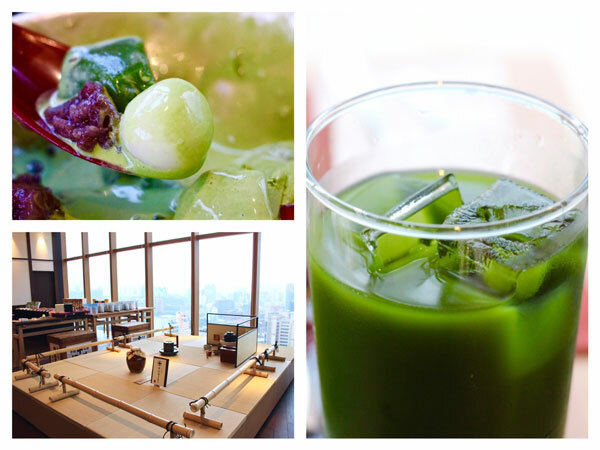 Once seated in coveted spots overlooking Hong Kong's skyline, we quenched our thirst with a glass of cold sweetened matcha ($48), as well as a hot sweet matcha ($48). Both emulated the clean astringency of high quality green tea, although we wished that the sugar could have been dialled down a bit. 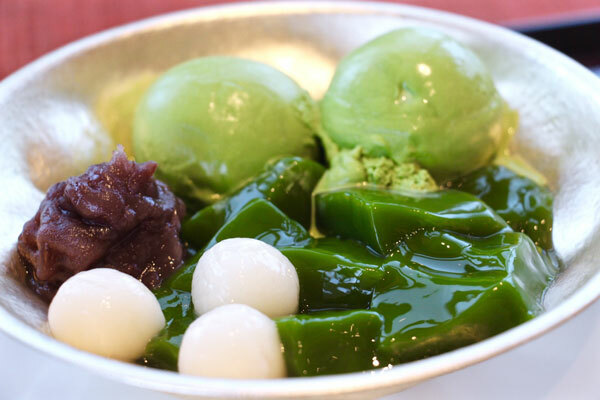 First to arrive was the matcha green tea jelly ($88), accompanied by two scoops of velvety smooth matcha ice cream, chewy mochi balls and house-made sweet red bean paste. The slightly bitter and silky smooth jelly oozed umami accents, and balanced well with the intense sweetness of the red bean. The matcha ice cream was dense and incredibly smooth, with a consistency so creamy it almost stuck to the roof of our mouths. 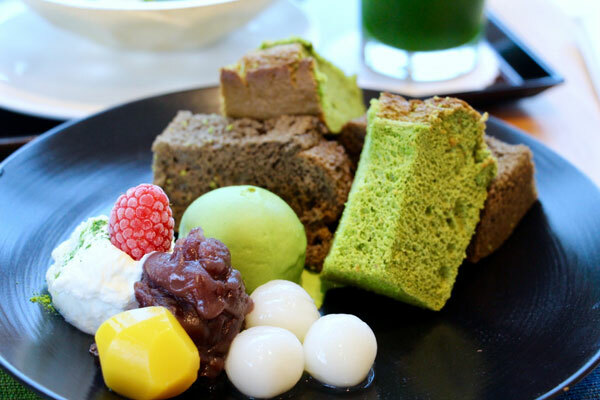 Next, we sampled the Kyo no Fukiyose ($98), a wonderland platter of matcha and hojicha chiffon cakes, mochi balls, matcha ice cream, sweet red beans and fresh cream. The cakes were airy light, and we particularly love the toasted flavour of the hojicha. The glazed sweet chestnut was an added bonus, and paired well with the fresh cream. As a summer cooldown treat, the famous chain recently introduced the Uji Kin Ice ($98), with four flavours ranging from matcha, hojicha, brown sugar and a combination of these. The icy dessert is also served with homemade Hokkaido red bean paste and shiratama, a Japanese sweet rice dumpling. 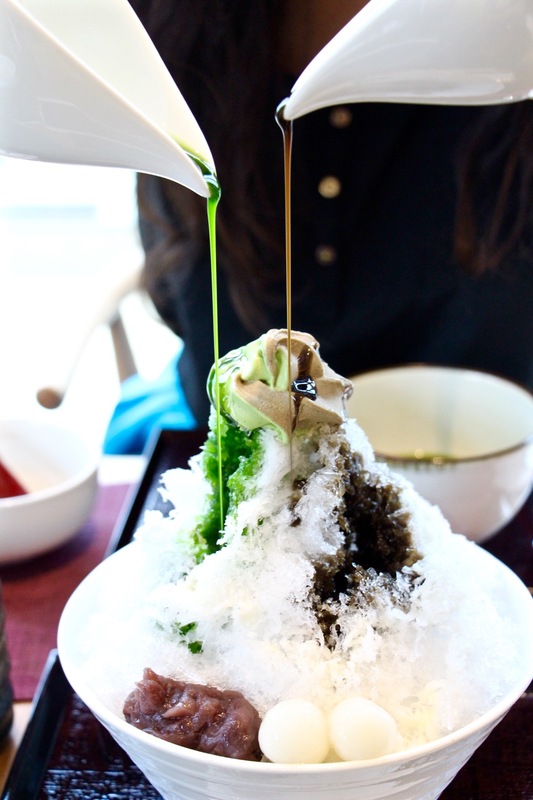 The Hong Kong shop specially imported an ice-shaving machine from Kyoto to assure the same quality of smooth yet fluffy ice as those served in the original location. We ordered the hojicha and matcha combo, which came crowned with a creamy soft-serve twist of the two flavours. The fluffy shaved ice came accompanied with two vessels of syrupy sauce, so we indulged in a little DIY. Verdict: Quality Japanese desserts in a beautiful setting overlooking Hong Kong's iconic skyline. If you are a matcha fiend like us, then this will be your idea of heaven. Although we would love to revisit, the outrageous line is somewhat of a discouragement. Doors open daily from 11am to 9:15pm, with last orders at 8pm. Each seating is limited to a 90 minute period, in order to give more people a chance to experience the cuisine. So...perhaps this is a case of "early bird gets the worm"? Arrive early to hopefully avoid the crazy line!